Old and out of date hospital equipment is giving pets in Hull a new lease of life. 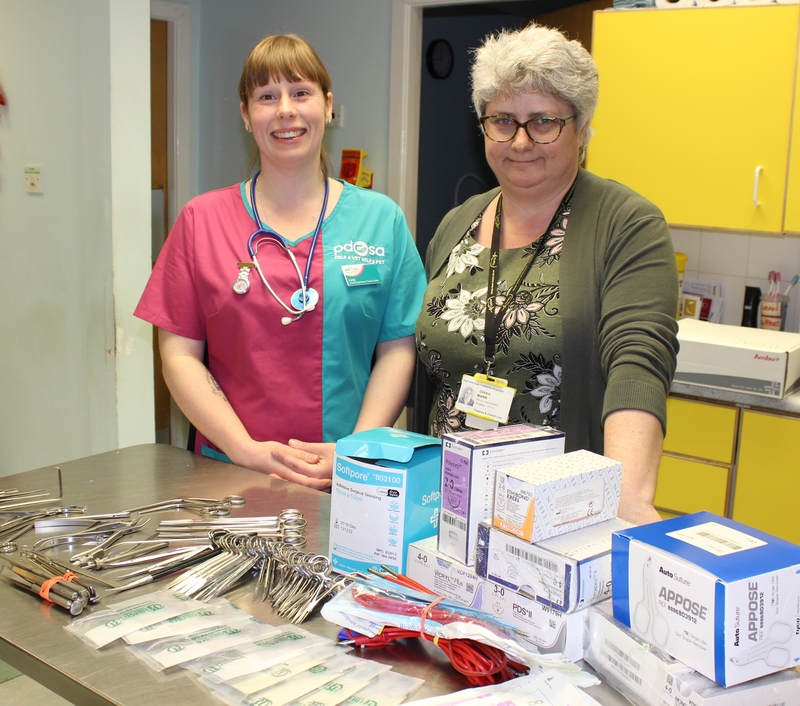 Surgical instruments, wound care packs and disposable sheets are just some of the items which have been donated to the PDSA Pet Hospital in Brunswick Avenue this week. As modern medicine has advanced, Hull University Teaching Hospitals NHS Trust has found itself with a range of items which are no longer required or have passed their used by dates. Instead of throwing them away, however, the Trust has delivered four boxes full of items to PDSA veterinary nurses and surgeons, who will now use these items to care for sick and injured animals. “With the introduction of keyhole surgery and other advanced techniques, some of the equipment we use during surgery has become out of date or is no longer needed in our hospitals. “PDSA is a charity which receives no central funding, so we rely entirely on donations to help us do our work.